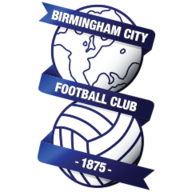 Highlights of the Sky Bet Championship match between Birmingham and Fulham. St Andrew's erupted and the hosts rarely looked like losing the lead. 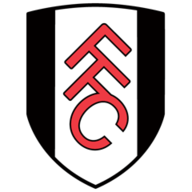 Cairney drilled wide after 25 minutes but, with their automatic promotion chances on the line, Fulham failed to find a first-half response. Garry Monk: "In terms of standard setting it's not an achievement, the club has been in that position often in the last five years so there's is relief and happiness - but it's a new era. The mentality of the whole club has to change and be relentless with it. I can promise everyone I'll be relentless with it. "There will be people who can do it and come with me and there will be people who can't and they won't be here. In terms of today, we saw from the performance we came out with the intention to finish on our terms, we didn't want to rely on anyone else." Slavisa Jokanovic: "I always believe we are going to win the next game, because we lost one game I am not going to change my mind. We showed quality many times, the character we showed many times - and we are going to be ready for the next game. "We're disappointed not because we're in the play-offs, we're disappointed because we lost a great chance to win the game. It's part of football and we must be ready for the challenge. We cannot be satisfied, it's simple, we didn't play well enough."